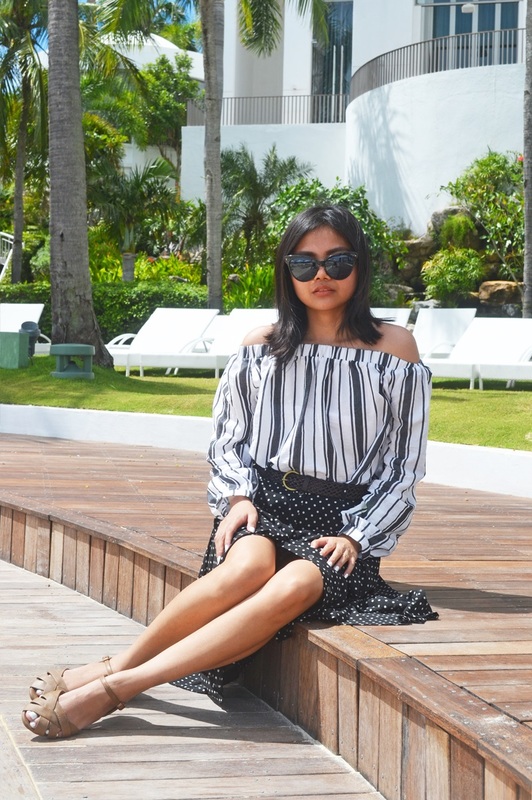 Earlier this month, we took a trip to Mövenpick Hotel in Mactan to relax and unwind. As my in-laws were visiting from England, we thought it was the perfect opportunity to show them more of the beautiful beaches in Cebu. 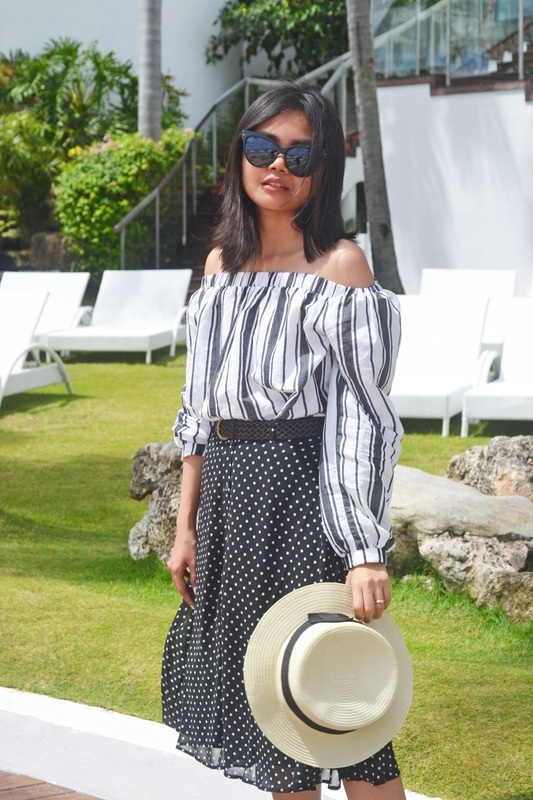 This outfit was one of the looks that I wore during our stay at the resort. I love a good print on print action so naturally I paired this striped off-shoulder top (a recent acquisition from ASOS) with a polka dot midi skirt. A great tip to remember when mixing prints is to choose clothing pieces in the same colour palette. This way, your outfit still looks cohesive even with the pattern play. I finished the look with cat eye sunnies, a straw boater and a brown woven belt. 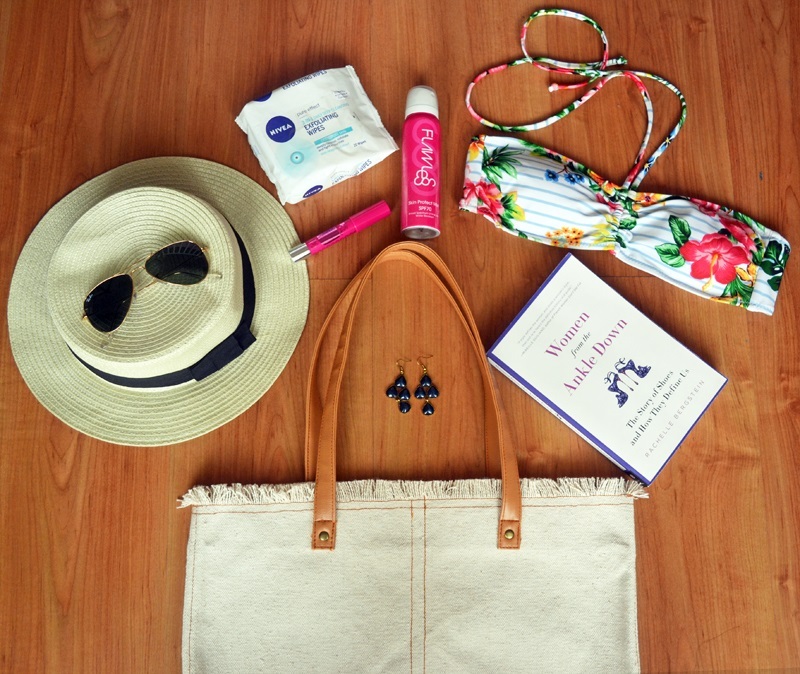 So what are my beach bag essentials? Aside from taking the basics— a bikini, a hat and sunglasses, I also bring with me a packet of cleansing sheets. These wipes are wonderful to have in your bag as they keep you looking fresh throughout the day. I never wear make-up when I'm at the beach so to add a bit of colour to my face, I pack a lip crayon in a bright pink shade. Staying at the beach means being exposed to the sun for long periods of time. I make sure I keep my skin protected with this bottle of Flawless Skin Protect Spray. Speaking of Flawless, in celebration of their 14th anniversary, the company is releasing its biggest promo to date— the 7+7 Beauty Deals! 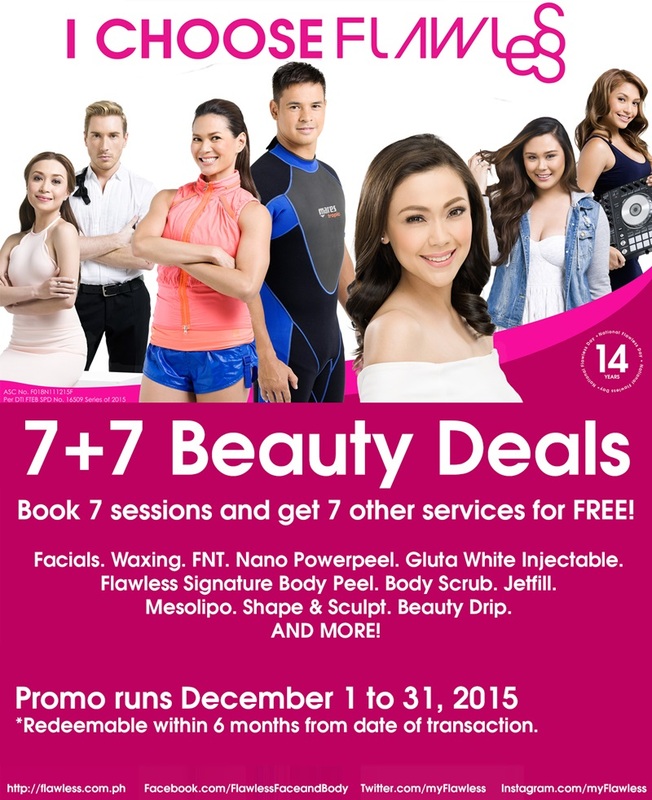 For the whole month of December, clients who book 7 sessions instantly get 7 other services for FREE! With over 22 service combinations to choose from, you can easily achieve your most flawless look! Drop by your nearest Flawless clinic to learn more about this fabulous offer. such a nice print mix! 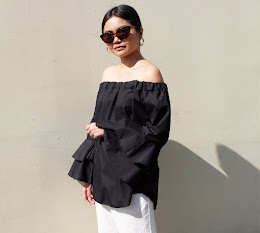 love the off shoulder blouse!